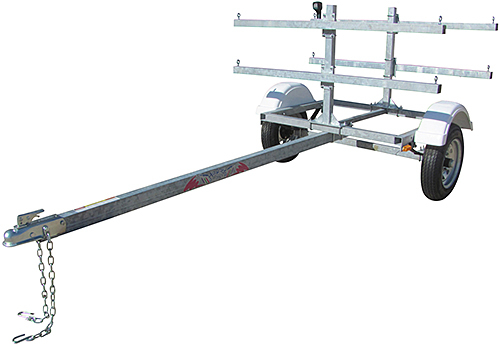 The Magneta USUPT4/8 is a galvanized Paddle Board Trailer that carries 4 SUP Boards on their bottoms or 8 SUP boards if double stacked two per carry arm. Can carry SUP boards that are 6' to 13' long. The 2 vertical uprights are 30" tall and hold (4) 60" long carry arms that include tie down lugs. Trailer comes pre-wired with US DOT approved submersible tail lights and orange side marker lights. The heavy-duty galvanized frame provides for years of reliable service. 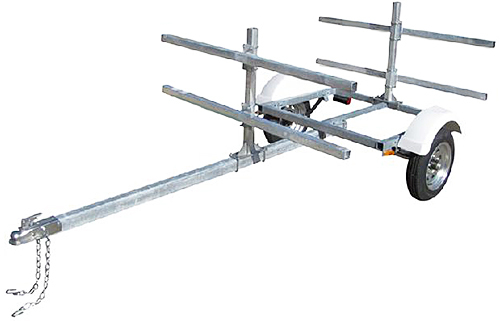 The Magneta USUPT4/8 Paddle Board Trailer ships unassembled via truck freight (semi). The price of this item does not include truck freight (ships by semi) to your location. If this item is ordered online, before processing the order, we will obtain freight quotes to the shipping address provided on the order. We will email you the best quote for your approval. FREE unassembled pick up available in Hull, IA. 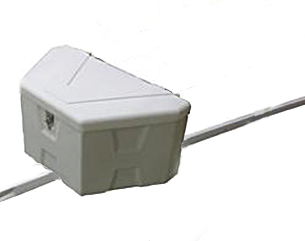 Tip: It is less expensive to ship this item to a business address that has a loading dock or forklift. If you would like a shipping quote before ordering, simply add the item(s) to your cart, then go to the cart and click Submit Items in Cart For Shipping Quote. You will receive the shipping quote by email (normally the same day). Quote requests received after 3:00 PM CST or on weekends will be sent the morning of the following business day. This item normally leaves the warehouse in 7-10 business days. Due to regulatory restrictions, we cannot ship trailers to Illinois. Works great for hauling my SUP boards to the lake. Seems well built so I expect to have it a while.